Starting with Forex trading is very tempting, but it also implies some risk, which may discourage many people. You may be familiar with stock trading brokerages which offer practice accounts. You should know that such practice accounts are offered by all legitimate forex brokers in the market presently. A practice account in the Forex market is a trading account connected to the live market, but it works with money which isn’t real. Such accounts are meant to give a clear idea about what the Forex market means and how it works. Traders can experience real life situations and test their reactions and solutions. The great advantage is that there is no risk when using a practice account, because there is no money involved. This option comes very handy for any fresh trader. The Forex market may look quite simple from the outside, but in reality it is much more complex and full of traps and one can only understand it from practice. New traders need a very realistic simulation of the Forex trading, so they know what to expect on the real live market. By using practice Forex accounts traders can get an idea about the market’s fluctuations and how they affect the account balance. Using a Forex practice account before opening an actual account to trade in the live market is the best way to learn about the Forex trading platform without putting your money at stake. In terms of knowledge and experience it is a very good solution and it pays results. What it fails to generate is the excitement feeling of trading real money on the real market. This emotion cannot be simulated, so it has to be tested the hard way, in the real live market. Although it may sound like not a big deal, this emotion can actually make the difference between success or loss. It is very easy to lose your head when trading in the live market and to make mistakes just by being driven by such an emotion. People get emotionally attached to the money they put into trading and decisions based on emotions are often the worst ones. The psychological comfort offered by the no risk practice accounts can give a new trader the self confidence for trading real time. Once there, the trader may very easy loose temper and start doing mistakes not by the lack of knowledge, but by not being to control the emotions. What is really great about Forex practice accounts is that it offers the experience of real trading situations without any risk involved. It is the best way to learn and understand the Forex trading platform you want to trade on. It is not at all advisable to start trading directly in the live market without having first practiced on a demo account, not even for experienced traders. Besides learning about how the trading platform works, the demo account also offers the possibility of testing out trading theories and systems. If you figured out a trading system and you want to test it, but not risk loosing money, you can do it with a practice account. Theories and ideas can be tested under the same conditions of the real market, but with the great benefit of no risk involved. You may be anxious to start trading on the Forex market, but the old saying that “patience is a virtue” is true. It is better to gain some experience and learn about the trading platform with a Forex demo account. If you allow impatience to guide your actions, you’ll end up loosing. Don’t miss details and practice the ideas you came up with and only when you are sure of how to work with them, go on in the live market. Forex market is a place where people gain more profit, more often. 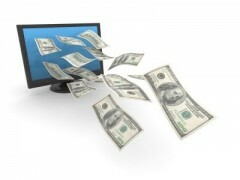 That is what attracts other people to try it, with the hope of making big money quickly. It is not impossible, but only for those who are serious about it and learn everything they need about Forex trading and platforms. However, any beginner should start their trading experience with forex practice accounts, where they can get a clear picture about Forex trading without putting their money at steak.